Over on Tumblr I have been running a screenshot-a-day project for a couple of years. I layer screenshots upon each other, with an image to represent each day, placed on top of previous images. This functions as a semi-public (open, but not publicised) diary. 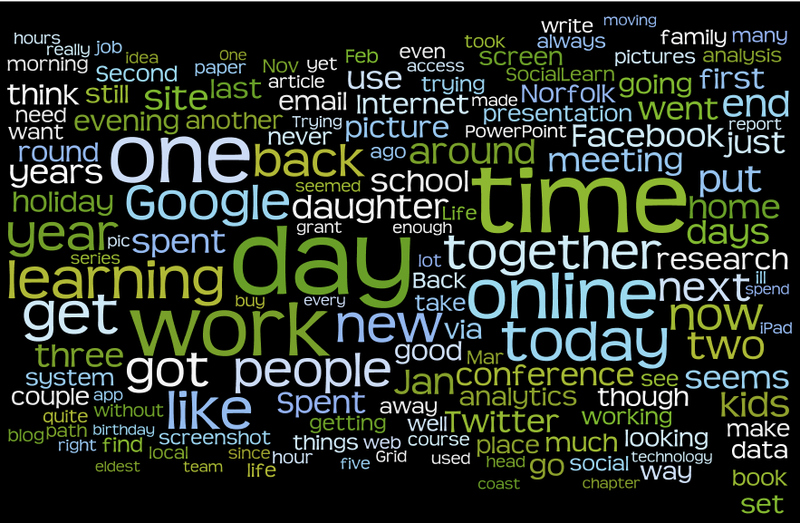 It also, consciously, forms a record of the online tools I use, and of my digital experience. Sometimes I include a whole-screen shot, showing my applications bar and all open windows, at other times I go for a single image. This entry was posted on January 19, 2013, 9:41 pm and is filed under Analytics, Blogging, Second Life, SocialLearn, Tools. You can follow any responses to this entry through RSS 2.0. You can leave a response, or trackback from your own site. Would you count word press as social media?